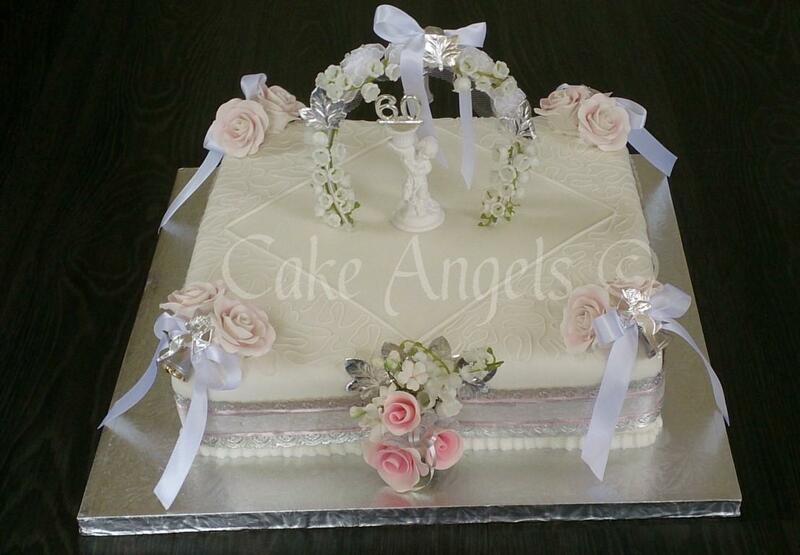 Making a replica Wedding Cake is not something that the Cake Angels usually get asked to do. 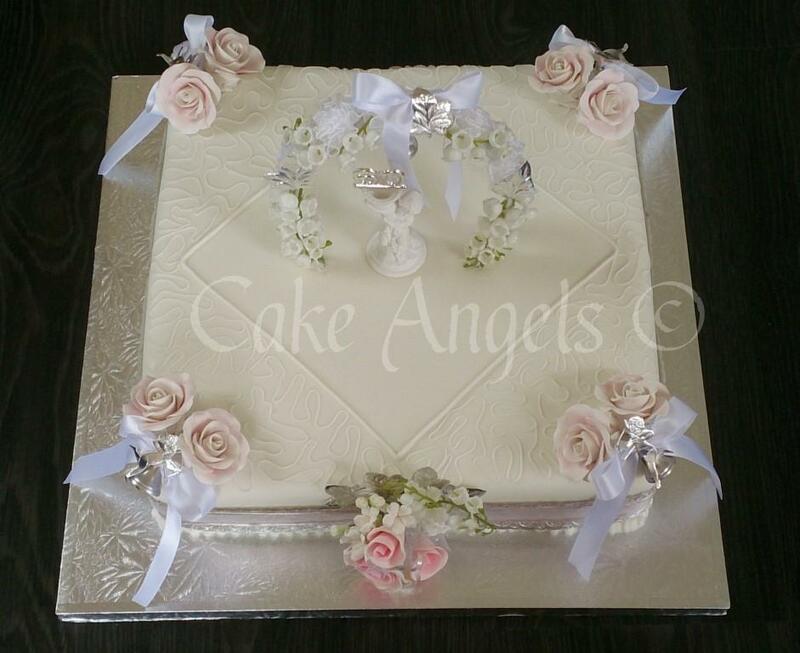 However this was the request from one of our regular customers, to celebrate her parents' Diamond Wedding Anniversary - 60 years of marriage. 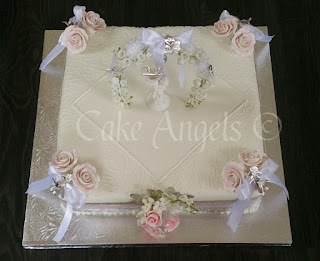 Luckily for the Cake Angels, the customer was able to get some identical decorations, and also able to find some that had been used on the original Cake. 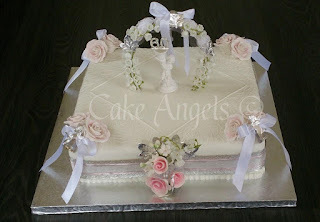 This made it possible for the Cake Angels to get the decorating as close to the original Cake as we could, working from old photographs.